showing the distribution of dark matter in the universe. The standard model of cosmology tells us that only 4.9% of the Universe is composed of ordinary matter (i.e. that which we can see), while the remainder consists of 26.8% dark matter and 68.3% dark energy. As the names would suggest, we cannot see them, so their existence has had to be inferred based on theoretical models, observations of the large-scale structure of the Universe, and its apparent gravitational effects on visible matter. Since it was first proposed, there have been no shortages of suggestions as to what Dark Matter particles look like. Not long ago, many scientists proposed that Dark Matter consists of Weakly-Interacting Massive Particles (WIMPs), which are about 100 times the mass of a proton but interact like neutrinos. However, all attempts to find WIMPs using colliders experiments have come up empty. As such, scientists have been exploring the idea lately that dark matter may be composed of something else entirely. Current cosmological models tend to assume that the mass of dark matter is around 100 Gev (Giga-electrovolts), which corresponds to the mass scale of a lot of the other particles that interact via weak nuclear force. The existence of such a particle would be consistent with supersymmetric extensions of the Standard Model of particle physics. It is further believed that such particles would have been produced in the hot, dense, early Universe, with an a matter mass-density that has remained consistent to this day. However, ongoing experimental efforts to detect WIMPs have failed to produce any concrete evidence of these particles. These have including searching for the products of WIMP annihilation (i.e. 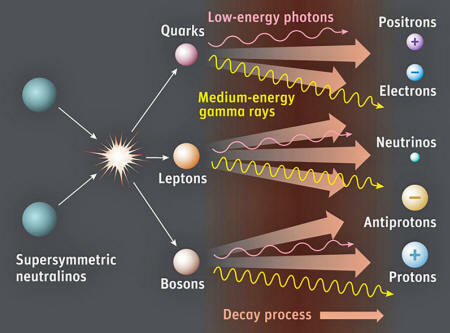 gamma rays, neutrinos and cosmic rays) in nearby galaxies and clusters, as well as direct detection experiments using supercolliders, like the CERN Large Hadron Collider (LHC) in Switzerland. Because of this, many researcher teams have begun to consider looking beyond the WIMPs paradigm to find Dark Matter. One such team consists of a group of cosmologists from CERN and CP3-Origins in Denmark, who recently released a study (Planckian Interacting Massive Particles as Dark Matter) indicating that Dark Matter could be much heavier and much less interacting than previously thought. "We can't rule out the WIMP scenario yet, but with each passing year it's getting more and more suspect that we haven't seen anything. In addition, the usual weak scale physics suffers from the hierarchy problem. That is, why all the particles we know about are so light, especially with respect to the natural scale of gravity, the Planck scale, which is about 1019 GeV. So, if dark matter were closer to the Planck scale, it wouldn't be afflicted by the hierarchy problem, and this would also explain why we haven't seen the signatures associated with WIMPs." Using a new model they call Planckian Interacting Dark Matter (PIDM), the team has been exploring the upper limit of mass of dark matter. 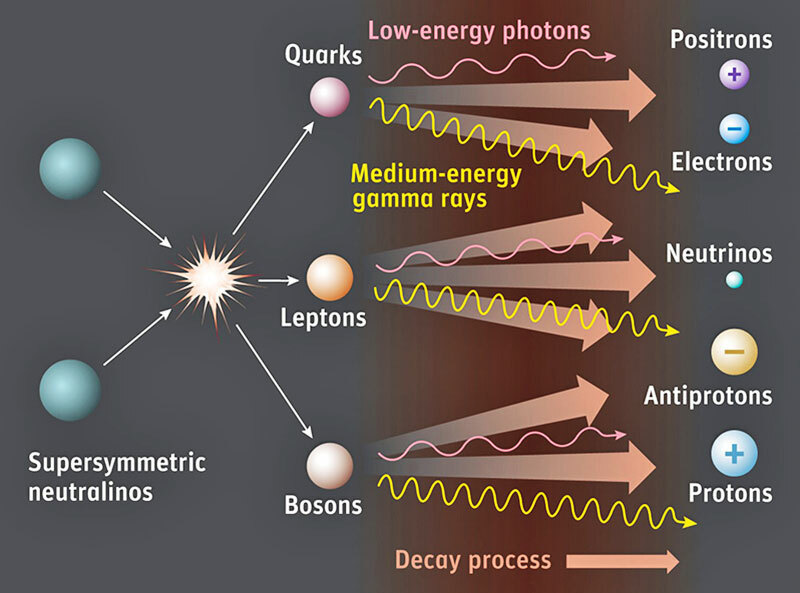 Whereas WIMPs place the mass of dark matter at the upper limit of the electroweak scale, the Danish research team of Marthias Garny, McCullen Sandora and Martin S. Sloth proposed a particle with a mass near another natural scale entirely - the Planck Scale. 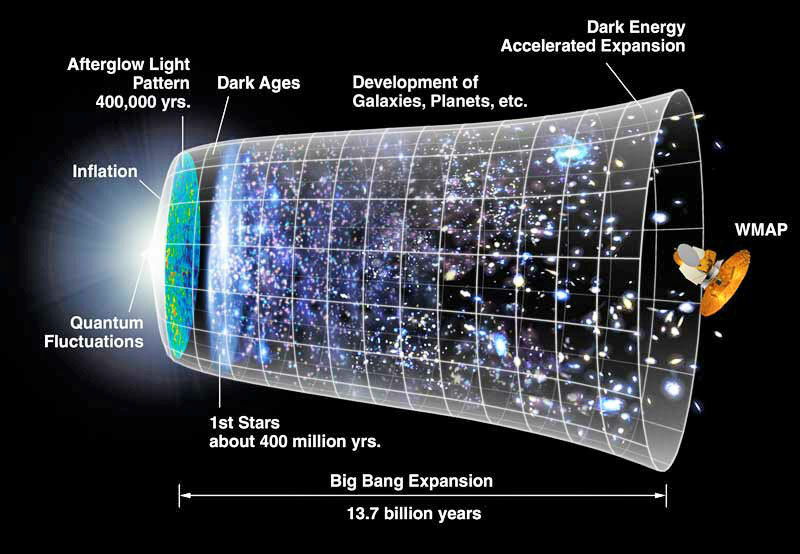 from the Big Bang to the present day. On the Planck Scale, a single unit of mass is equivalent to 2.17645 × 10-8 kg - roughly a microgram, or 1019 times greater than the mass of a proton. At this mass, every PIDM is essentially as heavy as a particle can be before it becomes a miniature black hole. The team also theorizes that these PIDM particles interact with ordinary matter only through gravitation and that large numbers of them formed in the very early Universe during the "reheating" epoch - a period that occurred at the end the Inflationary Epoch, some 10-36 t0 10-33 or 10-32 seconds after the Big Bang. This is epoch is so-named because, during Inflation, cosmic temperatures are believed to have dropped by a factor of 100,000 or so. When the inflation ended, the temperatures returned to their pre-inflationary temperature (an estimated 1027 K). 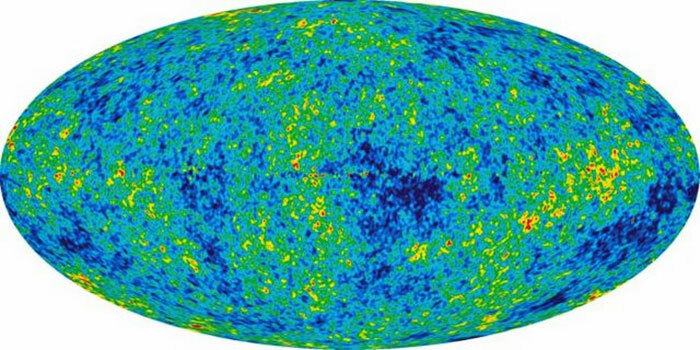 At this point, the large potential energy of the inflation field decayed into Standard Model particles that filled the Universe, which would have included Dark Matter. Naturally, this new theory comes with its share of implications for cosmologists. For example, for this model to work, the temperature of the reheating epoch would have to have been higher than is currently assumed. What's more, a hotter reheating period would also result in the creation of more primordial gravitational waves, which would be visible in the Cosmic Microwave Background (CMB). "Having such a high temperature tells us two interesting things about inflation," says Sandora. 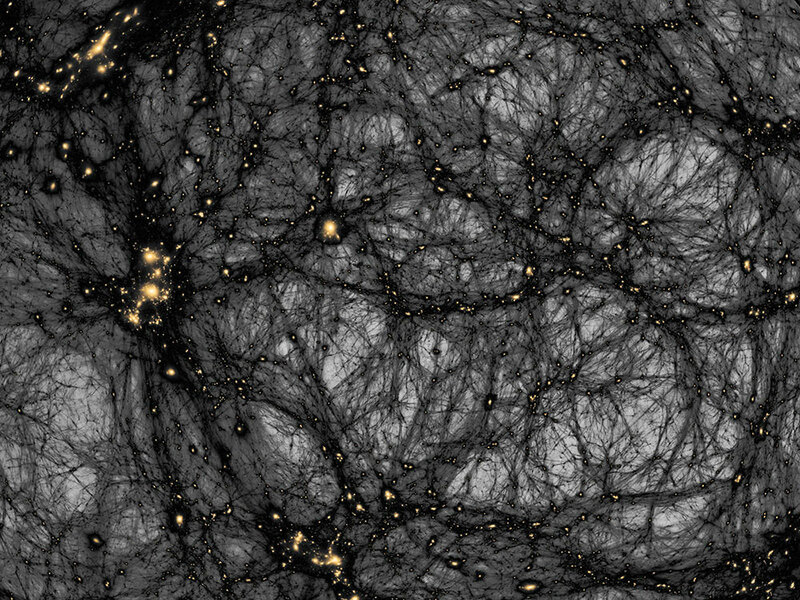 "If dark matter turns out to be a PIDM. 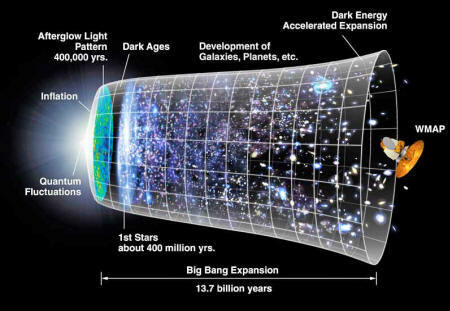 The first is that inflation happened at a very high energy, which in turn means that it was able to produce not just fluctuations in the temperature of the early universe, but also in spacetime itself, in the form of gravitational waves. Second, it tells us that the energy of inflation had to decay into matter extremely rapidly, because if it had taken too long the universe would have cooled to the point where it would not have been able to produce any PIDMs at all." 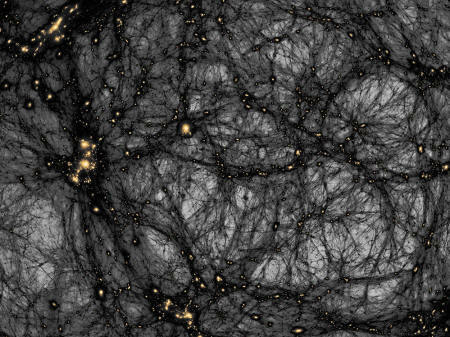 could tell us more about the true nature of dark matter. The existence of these gravitational waves could be confirmed or ruled out by future studies involving Cosmic Microwave Background. This is exciting news, since the recent discovery of gravitational waves is expected to lead to renewed attempts to detect primordial waves that date back to the very creation of the Universe. "[O]ur scenario makes a concrete prediction: we will see gravitational waves in the next generation of cosmic microwave background experiments. Therefore, it's a no-lose scenario: if we see them, that's great, and if we don't see them, we'll know dark matter is not a PIDM, which will mean that we know it has to have some additional interactions with ordinary matter. And all this will happen within the next decade or so, which gives us plenty to look forward to." Ever since Jacobus Kapteyn first proposed the existence of Dark Matter in 1922, scientists have been searching for some direct evidence of its existence. And one by one, candidate particles - ranging from gravitinos and MACHOS to axions - have been proposed, weighed, and found wanting. If nothing else, it is good to know that this latest candidate particle's existence can be proven or ruled out in the near future. And if proven to be correct, we will have resolved one of the greatest cosmological mysteries of all time! A step closer to truly understanding the Universe and how its mysterious forces interact. Theory of Everything, here we come (or not)!